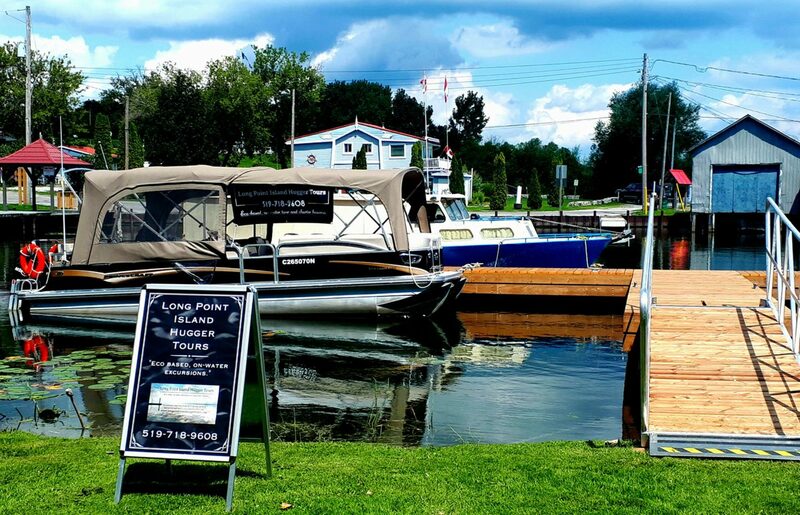 Based on Lake Erie at Long Point Ontario we will be utilizing a 25.5′ fully enclosed pontoon boat. Well appointed deck and amenities with a relaxed seating for up to ten guests will give you a perfect seat to the best view of the natural wonders at Long Point has to offer. LPIHT will be showing the local and natural history of the Long Point area in our travels. It is our goal to exceed your expectations for your on-water experience. Our staff from booking to the boat want to see positive, safe and memorable times and hope you will book again each year forward. To ensure our sustainability LPIHT staggers on-water experience destinations at Long Point so flora, fauna and other natural features are less disturbed during our touring season. Please email us at: lpiht@outlook.com for any questions you may have. Follow us on social media using the links at the bottom of the page.